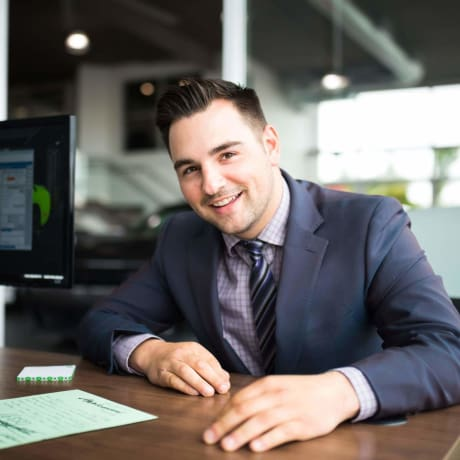 Erich Perkins is a well established salesmen in the Lower Mainland who combines his love for people with his passion for Car Sales. Helping clients buy vehicles is his life and he is enthusiastically committed to giving them an outstanding experience. Erich has strongly built his reputation as a salesmen with integrity and extremely strong work ethic that you can always trust to get the job done. Combining his innovative approach, his vast knowledge of vehicles, and his own personal investment experience, Erich is known for getting his clients the results they desire. Whether he is working with a first time vehicle buyer or a seasoned shopper, his commitment to his clients is unrivaled ! Look no further if you want exceptional service without any hassle. We offer top quality products and services ! We are here to help you. We go over all the details such as car-proofs, and services done to the vehicles. We have competitive pricing and give top dollar for trade-ins.